How do I connect to MarMOTS? 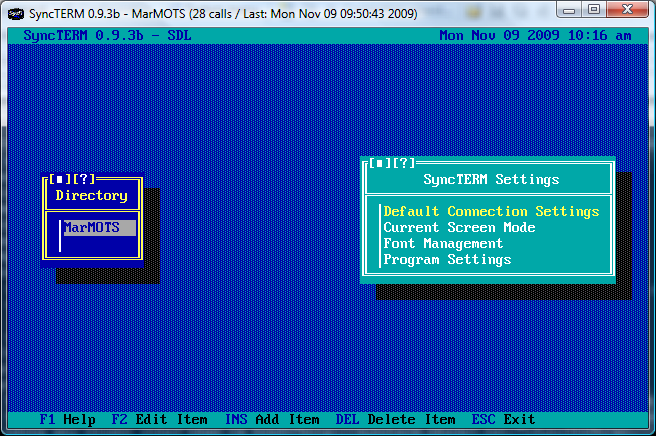 You'll need a telnet client that supports ANSI control codes (easy) and Code Page 437 character encodings (trickier). At this time, you will probably have difficulty using any client other than SyncTERM. The official site for SyncTERM goes down fairly often; if you have trouble, you might try the official Windows installer, or an older build, which are hosted elsewhere. If none of those are working for you, I also host a mirror. Hit the Insert key or select the empty entry at the end of the list to add a new server. 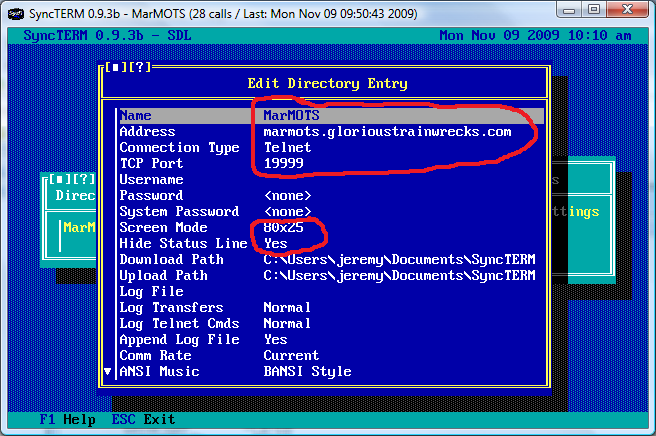 Give the name as "MarMOTS", the connection type as "Telnet", and the address as "marmots.glorioustrainwrecks.com". You are not quite finished yet! Now, hit enter to connect, and enjoy MarMOTS!